Add a unique look to your Mitsubishi 3000GT! 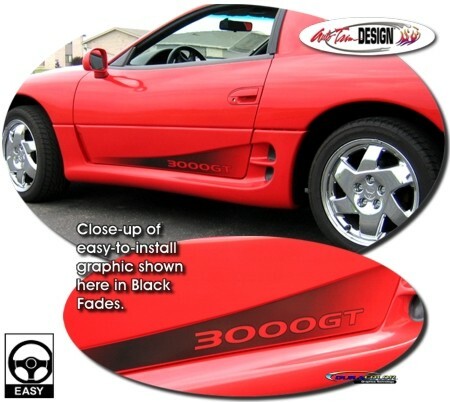 These awesome body side graphics are designed to fit perfectly on your 3000GT's lower door panel as shown. Starting as a light fade at the front, the graphics gradually darken and then uniquely fade out again to the rear vent area. Available in four (4) fade colors (Black Fades shown). Very easy to install (NO TRIMMING trimming required). 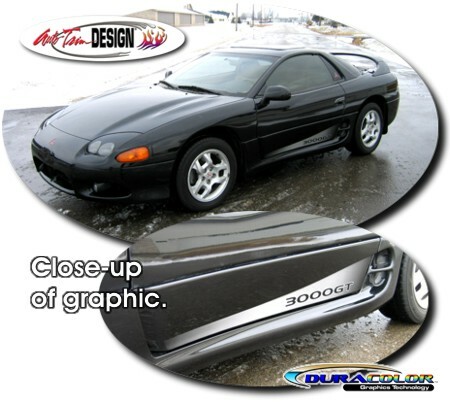 This graphic kit will fit any '91-'99 Mitsubishi 3000GT with factory door panels as shown.